Golf Ravines is an 18-hole championship golf course steeped in history. 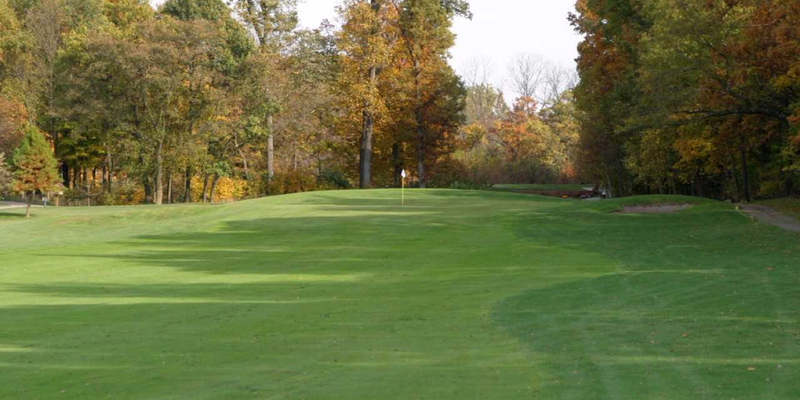 The Ravines is a traditional-style public golf course, designed by Duane Dammeyer, that embraces the beauty of the area. The Ravines is designed to provide an enjoyable experience for golfers of all skill levels. The land that the Ravines Golf Course sits on has been a part of the Ade family for over 115 years. We take pride in providing you with a great golf value with many other amenities, including a comfortable clubhouse and venue for weddings, company outings and more. Please call 765-497-7888 for current rates. Call 765-497-7888 for rates and tee times. Contact The Ravines Golf Course at 765-497-7888 for more information and details on holding a golf outing at the course. Contact The Ravines Golf Course at 765-497-7888. Contact The Ravines Golf Course at 765-497-7888 for onsite or nearby dining options. This profile was last updated on 12/25/2018 and has been viewed 10,216 times.